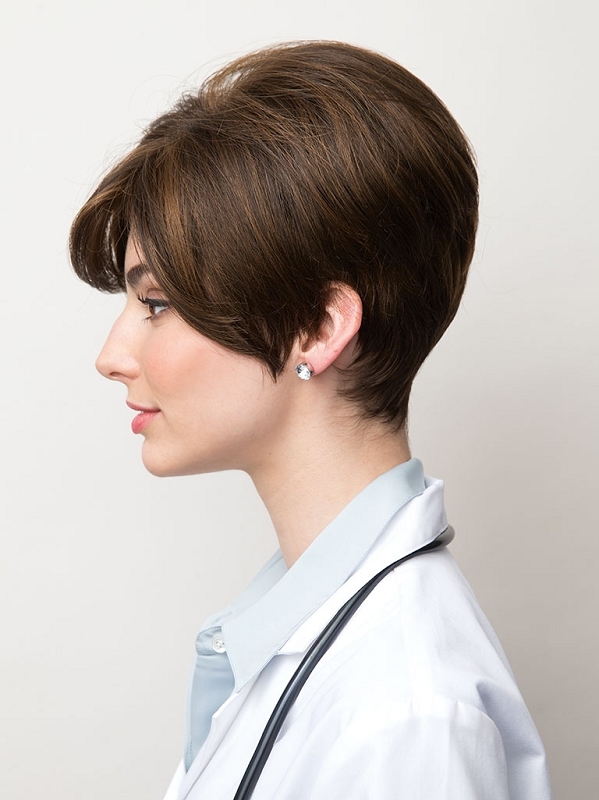 The Tiana Monofilament Wig from Amore is a pixie cut with long asymmetric bangs. The XO Collection features 100% hand-tied for multi-directional styling. An incredible hairline fusion technology with minimal lace front for natural look. 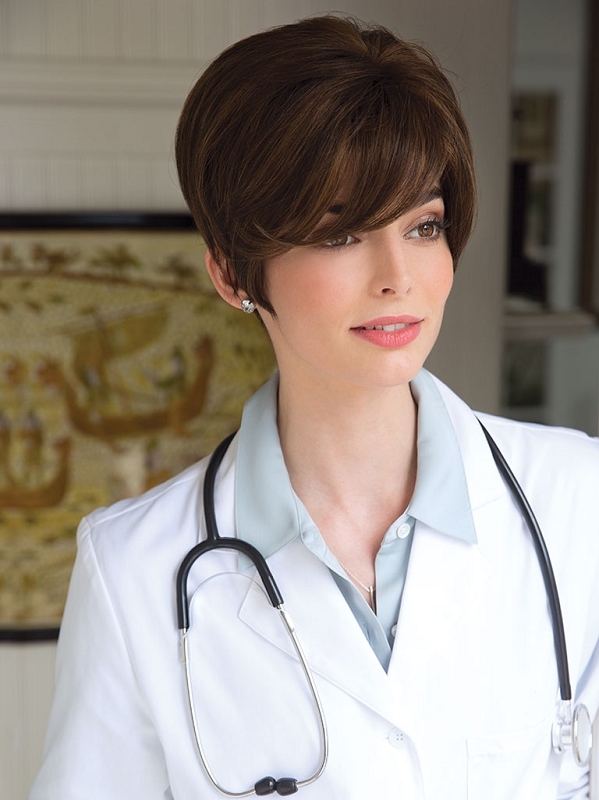 The wefts are sewn onto a soft, breathable material that contours to the shape of your head. A double-layered monofilament top for all day comfort. 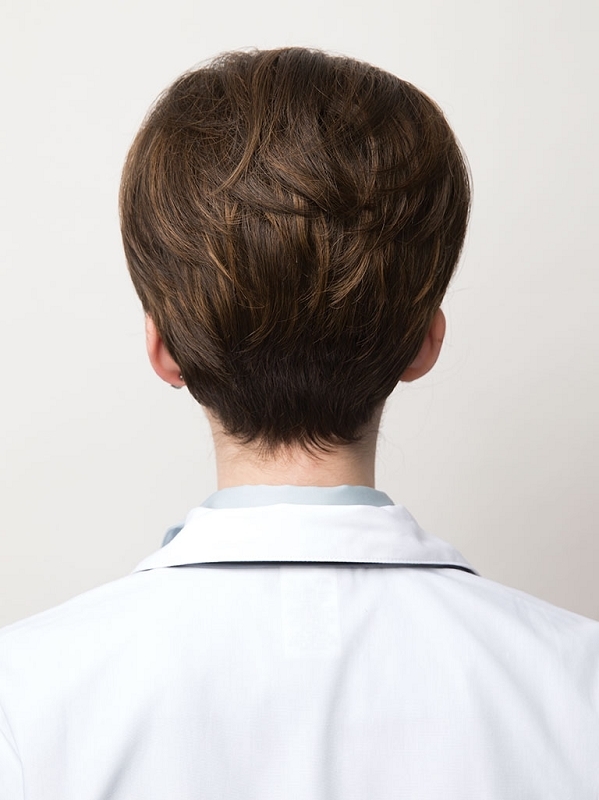 And non-slip silicone tabs at the ears and nape for the most secure fit.